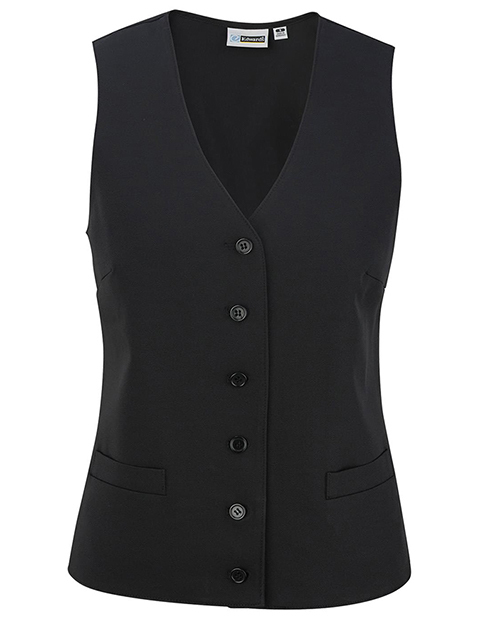 This Firenza vest from Edwards has textured weave and square hem that offers crisp and formal style. This is ideal for banquets, restaurants or casinos. Embroiders well.